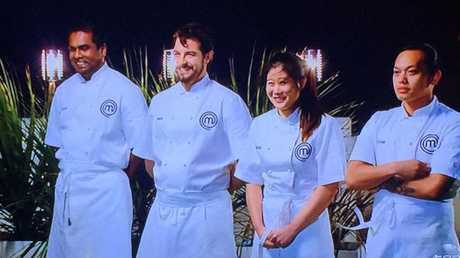 MASTERCHEF fans were fuming after they saw Bondi Icebergs' Head Chef rattle the show's final four contestants, as the pressure got to them. The final four were flown to Sydney to compete in a high-pressure service challenge at Bondi Icebergs, where they had to cook one dish each for 30 diners. 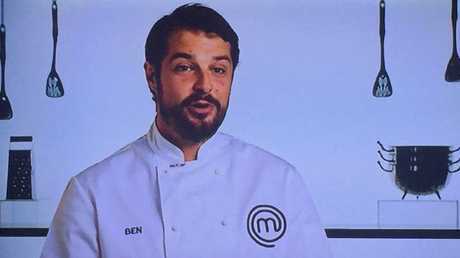 Ben Borsht, 31, from Queensland, had an advantage from winning a previous challenge, and got the chance to choose the dish he wanted to make. The rest of the contestants had to draw knives and find out their fate. 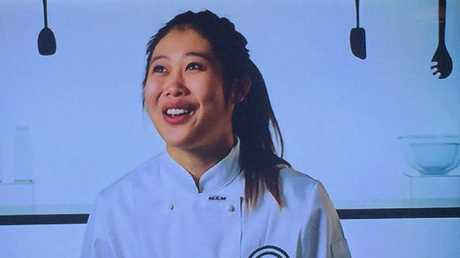 While Ben played to his strengths and chose seafood, Sashi Cheliah, 39, from South Australia, got pasta, Jess Liemantara, 19, from Victoria got meat and Khanh Ong, 25, from Victoria, got dessert. One-by-one, they met Bondi Icebergs Head Chef Monty Koludrovic. Sashi was first with his dish, Pumpkin ravioli with mushroom sauce and crispy pancetta. He struggled to find his mojo in the kitchen, and his cooking utensils at first. Then, he fell behind and failed to make the deadline for service. Monty was breathing down his neck. Sashi admitted: "I have really underestimated pasta-making. It's a very long process." Monty then told him to keep going. "Sashi, we need to see a plate done up," he said. "So, this is the hero of your dish, isn't it, Sash? You want the semi-final. This is your time. "Come on, Sashi. Let's cook it, mate. Now I need to boil it and add all the other elements. OK, have you got your sauce?" Sashi is stressed, and told him: "Not ready yet, but..." before Monty says: "Put this here. Where's your sauce?" Sashi knows, recalling: "Monty is on my back." "Where's your pancetta? Come on. This is real, mate. We're plating one right now. He is pushing me so hard. Now is not the time to get wobbly, mate. Let's go. "So, we've got 25 minutes till service, so you need to start absolutely busting out some of those raviolis," Monty replies. Sashi then hit another obstacle, he fell short of one raviolo and had two minutes to make one in time to feed the last diner. Sashi's army of social media fans jumped to his defence on Twitter, accusing Monty of bullying, and told him to back off their favourite contestant. They thought he had been treated unfairly, contrary to other episodes where judges and guest chefs had been more encouraging with the amateur cooks vying to win the reality TV series. As the show aired, some even accused Monty of being racist towards Sashi. The chef took to his own Instagram account to defend himself. In a post about the show he said: "I'm not sure why it seems racist? 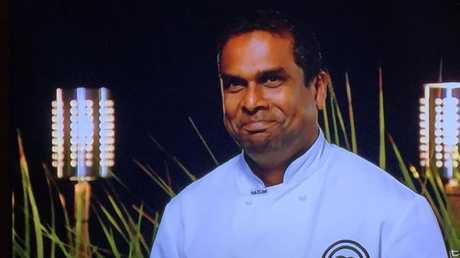 Sashi struggled with his pasta more than the other cooks struggled with their dishes tonight on @masterchefau . And I needed to help him get there. Not sure why you'd want to bring race into it at all... thanks for the message anyway." However, some fans accepted that Monty spoke to Sashi the way he did as they believed it was part of the industry they work in. They also conceded that Monty did warn him he needed to get on to his pasta earlier than he did. As Sashi plated up for service, Monty then told him he should say sorry to the waiters for being so late. Monty said: "C'mon, mate, you've gotta do more than one thing at once in here. OK, waiters, service! Have you got anything to say to the waiters?" Sashi replied: "Ah, I haven't poured the mushroom broth yet, so..."
Monty said: "What about, 'Sorry, I'm so late.'" Sashi said he will when Monty dived in to say: "C'mon, tell them." Finally, Sashi said: "Service, please." Monty repeated himself again, saying: "All you've gotta say is 'Please tell them I'm sorry that I'm so late.'" He then told Sashi: "More broth. More broth. More broth. Uh... That's a sorry excuse for a spoon there, ah, Sashi." Sasha said: "Service, please, and sorry for the delay." "We're all sorry for the delay, aren't we?" again," Monty added. Eventually, Sashi finished and Monty told him: "Bravo, well done, you got there. You gave me a scare." But Sashi's fans vented on Twitter, saying he was less than supportive. On Instagram, Monty's fans backed him during the show. 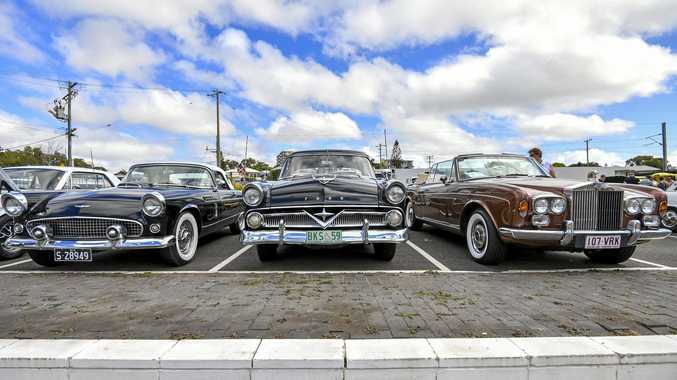 One person wrote: "Well done Monty. I'm lucky enough to know you well and to of seen you develop the careers of so many brilliant chefs. Your an excellent mentor and inspiration to so many... Congratulations on a great show tonight. Sashi even thanked you for the support on his feed which was nice to see." When it was Ben's turn to serve, he said to the camera that he can hear Monty "barking at Sashi". "And I think he'll be breathing down my neck soon enough," he added. Monty is then heard saying: "Benny, I'm watching you. You need to start moving, bro. It looks like you're at home cooking for your girlfriend. You need to start moving." Ben then said: "I can definitely understand why Monty is getting so aggravated. He doesn't want to go down today, and we're trying to represent his restaurant, and I'm sure that's a big thing for him." Ben got his Pan-seared fish, zucchini puree and romesco sauce out, but not without feeling Monty on his back. "I'm pretty much all ready to go but Monty has his foot on my throat," Ben said. "It's not church, we've gotta serve. You've got a real Queensland impression of 'immediately', don't you, Benny? You said, 'Immediately' three minutes ago," Monty told him. 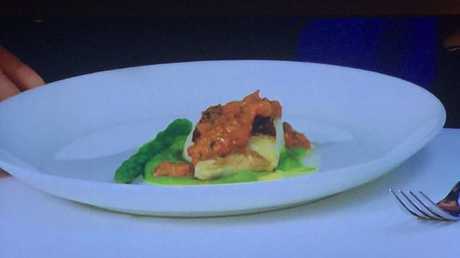 The stress also got to Jess, who said she felt "out of place" as she prepped her dish, Eye fillet, salsa verde and celeriac purée. But Monty told her: "But if stress is about executing, at least you're clear on what you want to do. Which is a pretty big part, isn't it?" Jess told the camera: "Having Monty in the kitchen is absolutely amazing. He knows I'm struggling and he's just telling me, like, why am I freaking out? Well, at least you're feeling confident about what you're gonna be serving, so now you're in a good place." 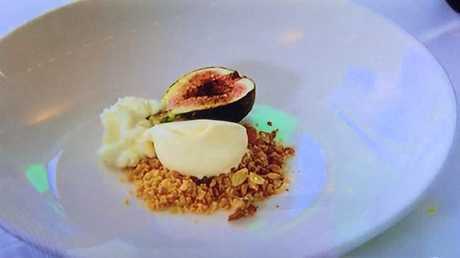 Khanh then served his dish, a honey ice-cream with blue cheese mousse and caramelised figs. Monty gave him one last push, telling him: "Let's go, man, nice and fast. In this game, you can be forgiven for a lot of things, Khanh, but melting ice-cream isn't one of them, OK?" Fortunately it was Khanh's day after his dish was the judge's favourite they said they "had been waiting for". 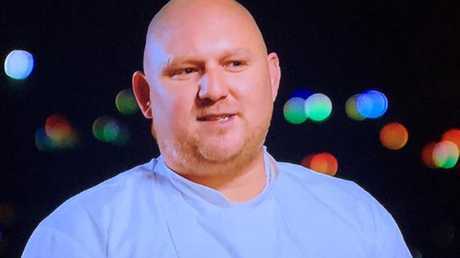 He then secured a place in the MasterChef Semi-Final set to air Sunday night. The rest of the contestants go into another elimination. MasterChef Australia continues Sunday - Tuesday on Ten at 7.30pm. #MasterChefAU I really enjoy this show but tonight's episode left me disappointed. There was obvious bullying of Sashi by Monty, which no other contestant experienced. Demanding he apologise over and over again was over the top and unnecessary.